Powder Ridge condos are located in a grassy campus between the Atrium Condos and Carter Park. They’re on the free shuttle route and just a quick walk to Main Street, although this treed area feels far from it. Located on South French Street they are across from Breckenridge Mountain Village and neighboring Sunbeam, which is a high-end, single-family neighborhood. Any Powder Ridge condo for sale will come with a good opportunity for short or long term rental income and will appeal to buyers who want a great location and a family-friendly location. Find out more about living in this development, or start your search with the Powder Ridge condominium listings below. Carter Park has four tennis courts, a dog park, picnic pavilion, volleyball courts and is adjacent to the school playground. The former town rope tow and ski hill is now popular for sledding in the winter and bike riding in the summer. Trails radiate from this end of town and provide access to the national forests. 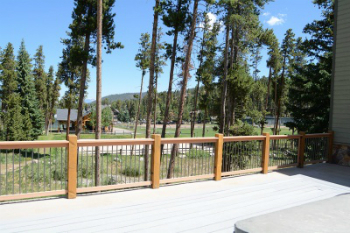 The indoor and outdoor ice rink is a block to the south across Boreas Pass Road. Mobile Concise Nutshell: Powder Ridge condos are located in a grassy campus between the Atrium Condos and Carter Park. They’re on the free shuttle route and just a quick walk to Main Street, although far from it in neighborhood feel. Size: 789 sq. ft to 1104 sq. ft. Amenities: in town, lawn, common areas. Drive south on French Street until the road sweeps to the left. Powder Ridge Condos will be on the left just after the Atrium Condos. 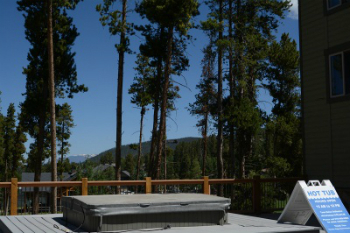 We can help match you to that perfect condo in Breckenridge. Contact us today to get connected to an expert.